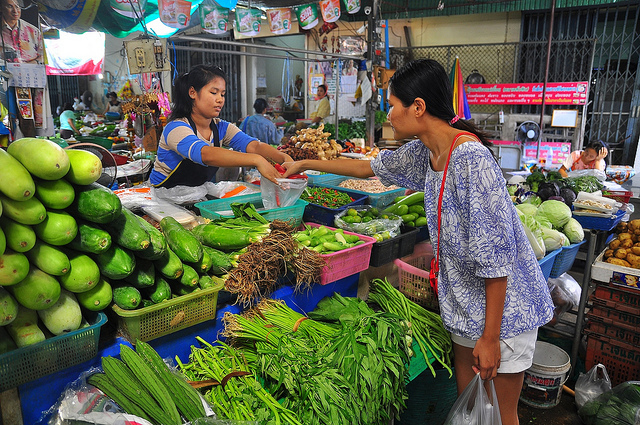 Chatchai market, is Hua Hin town’s main fresh market, where local vendors sell fruits, vegetables, fish and meats, as well as clothes and household accessories. 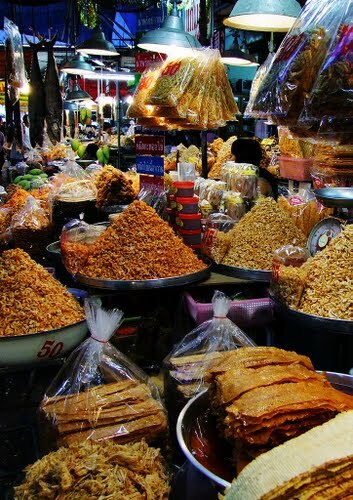 The market is a great place to observe the vibrancy of Thai market life, and practice a little Thai with the vendors. For the adventurous at heart (and stronger of stomach), it is also a brilliant spot to try traditional Thai breakfasts, such as “Khao Tom” (Thai rice soup), or “Kafae ron” and “patong koh” (hot coffee and local, deep fried donuts).